At the 2017 Kodály Summer School, Rhys and Owain will present a fun and interactive introduction to Cotswold Morris Dance, the most graceful, dynamic and complex of the Morris Dance forms alive in England today. Morris Dancing has easy-to- grasp structures, which are filled with a vocabulary of steps and arm movements distinctive to each “tradition”, and a number of figures and group movements shared between traditions. We will learn one or two accessible dances to explore the beauty of this tradition. 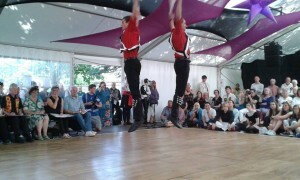 Rhys and Owain Boorman have both been dancing since the age of 12; they are 24 now. Their first side was Mad Jack’s Morris from Hastings, which was their only team for six years before going to university. Since then, Rhys has joined various teams, notably Morris performance group: Morris Offspring and Molly Team: The Seven Champions Molly Dancers. With Morris Offspring he has performed on various stages, including the Royal Albert Hall for the 2014 Folk Awards and has performed in shows in America and Canada. Owain was just as busy at university, joining and leading two sides in Southampton: Red Stags and King John’s, who dance Border and Cotswold Morris, respectively. He also formed a new mixed Cotswold side in the Autumn of 2014 called Clausentum Morris. Rhys and Owain won the famous John Gasson Double Jig Competition in 2015 representing Clausentum, with Owain winning the Solo competition that same year; Rhys was placed 2nd in 2015 and 2016. 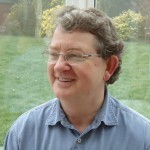 Steve Roud is a retired Local History Librarian and now a freelance writer and researcher specialising in the social history of traditional song and other folkloric topics. His publications include The New Penguin Book of English Folk Songs, The Lore of the Playground, The English Year, and the Penguin Guide to the Superstitions of Britain and Ireland. He is also the creator of the internationally-used Folk Song Index online database. Gerard Klaassens lives in Limburg, in the South of Holland. He has a B.Ed. in Music Education and has studied solo singing. Since 1993 he has attended all the International Kodâly Seminars at the Kodály Institute of the Liszt Ferenc Academy of Music in Kecskemét, Hungary where he has attended many solo singing courses led by Dr.János Klézli and Roland Hadju. Gerard teaches Kodály Musicianship and recorder at the Myouthic Institute for Art and Culture, Thorn and is also a music teacher at the Music Primary Schools of Hout-Blerick, Montfort and Linne. As a conductor, he directs a children’s choir, an adult choir and a concert band; his adult choir have performed in Poland, Vienna, Salzburg and Baden-Baden. In Holland he is in demand as a lecturer in Primary Music Education and has given workshops on Kodály teaching at the Utrechts Conservatorim. Last August, he was invited to meet the Minister of Education to discuss music education in the South of Holland. Together with Paul Mestrom he has written a method for recorder based on Kodály principles and is now working on a book about music listening. Gerard has a great interest in multicultural songs and has travelled (and continues to travel) to many different countries to collect songs. Nicola Gaines, BPhil(Hons), listed Cecchetti, is a specialist performer and teacher of Early Dance. Nicola will be running two dance workshops, on Sunday afternoon and evening. The first is French Baroque Dance – steps and rhythm. Nicola will focus on the Minuet, showing how experiencing the steps of this typical Baroque dance can illuminate the music. In the evening we can let our hair down with some English Dances from the 17th century – patterns and fun! 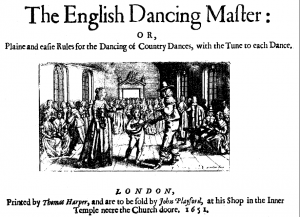 In 1651 Playford published “The English Dancing Master” or “Plaine and easie Rules for the Dancing of Country Dances, with the Tune to each Dance.” These dances were intended as light relief from the more formal dances of the age and were all about “meeting and passing”. A graduate of the London College of Dance and Drama, and the Royal Ballet School’s Teachers Training Course, she worked for many years with the late Belinda Quirey MBE. In 1998 she recorded a highly acclaimed video on Baroque dance with Christopher Tudor. Nicola is the Dance Leader and Administrator for the Early Dance Faculty of the Imperial Society of Teachers of Dance and has taught and demonstrated Early Dance on numerous courses run for dancers and musicians. Nicola is also a senior teacher for the Junior Associates Scheme at the Royal Ballet School where she is responsible for the use of Early Dance material in the JA training programme and performances. Borbála Szirányi graduated in music education and choral conducting at the Liszt Academy of Music in 1997. In her final academic year, she participated in Professor Peter Erdei’s conducting master course in Oxford. From 1996 to 2015 she worked at the music school of the Hungarian State Opera House Children’s Choir as classroom music teacher and choir conductor. 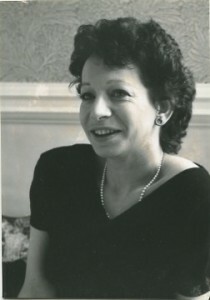 In 1999 she conducted demonstration lessons for the Kodály Institute. Since 2000 she has regularly taught as a visiting professor at the Central Conservatory of Music in Beijing, where the Kodály programme was launched under her direction. The Conservatory’s female choir and mixed choir were founded with her guidance. They performed several concerts with both Western European and Chinese programmes, worked together with the Chinese conductor, Muhai Tang and released a CD. In 2000 she was a visiting professor on the Kodály programme at the Holy Names College in Oakland, California. 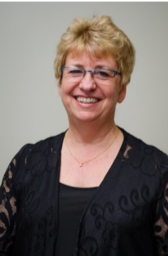 She has conducted Kodály courses in Shanghai (2001), Canton, (2005, 2006), Dublin (2013, 2014), Singapore (2013, 2014) Wales (2015, 2016) and Bucharest (2016). In 2010, she conducted a choir workshop for the Hong Kong Treble Choir. 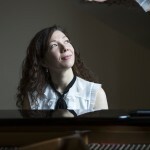 Since 2010 she has worked as a teacher at the Kodály Institute of the Liszt Ferenc Academy of Music and she regularly directs post-graduate courses for Hungarian music teachers. Since 2014 she has also taught at the Kós Károly Általános Iskola as part of the Mintaiskola project led by the Liszt Academy of Music. In this project she and her colleagues experiment with new music methodological techniques based on the Kodály concept in order to refresh and renew Hungarian music pedagogy, making it more adaptable to the 21 st century classroom. 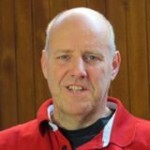 Ralph Allwood MBE was for 26 years Director of Music at Eton College and is now a freelance choral director. He is the Director of the Eton Choral Courses, which he founded in 1980. Seven thousand 16 to 20 year olds have been students on courses over the last thirty-five years. He co-founded the Junior Choral Courses in 2012, and is now planning courses in Shanghai, Melbourne and Greenwich, Connecticut. The Rodolfus choir, made up of the best singers from the courses, has been described as ‘unspeakably beautiful’ by Gramophone. It has produced over 20 CDs. 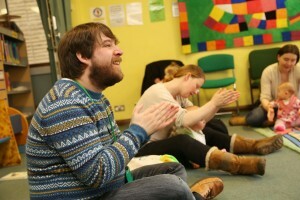 Ralph is a founder and conductor of Inner Voices, a choir made up of singers from state schools in London. He has conducted choirs for 40 live broadcasts for BBC Radio 3, is a judge for the Llangollen Eisteddfod and Cork International Choral Competition and has written much music heard worldwide on radio and television. Ralph adjudicates the Llangollen Eisteddfod and the Cork International Choral Competition. He is a Fellow Commoner advising in music at Music at Queens’ College, Cambridge, and an Honorary Fellow of University College, Durham. He is Choral Advisor to Novello, Wellington College and Trinity College, Oxford. He teaches at Trinity Laban Conservatoire and at his old school, Tiffin. In 2012 Ralph was awarded a Doctorate of Music by Aberdeen University. He was made MBE in the 2012 New Year’s Honours list. This session will look at some of the ways movement is used within the context of an aural training session. Sometimes as an expressive tool, sometimes as a quick reaction game, sometimes as a means of engaging more with the music and sometimes to show the music in space. The class will include games and exercises to do with melody, intervals, chords, harmony and much more. It is a way of learning music that has great value for young and old, amateur and professional, singers and players and much more. Jacqueline Vann studied Dalcroze Eurhythmics at the Institut Jaques-Dalcroze, Geneva from 1994 to 1997. She is Deputy Director of Studies in the UK and is also responsible for the Dalcroze children’s examinations. She is a freelance Dalcroze teacher working with adults, seniors, musicians and non-musicians, children of all ages as well as those with Specific Learning Difficulties. She teaches regularly on the Dalcroze International Summer School and Easter Course as well as the UK’s Foundation, Intermediate, Certificate and Licence training courses. She gives regular Dalcroze workshops around the country and has taught in Italy, Norway, Denmark, Japan, Hong Kong, Canada, South Korea and Australia. 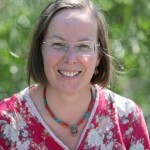 In 2013, to celebrate the centenary of the London School of Dalcroze Eurhythmics, she gave two papers at the first International Conference of Dalcroze Studies – one on the Dalcroze Children’s Exams and another on the benefits of using Dalcroze to teach children with Specific Learning Difficulties. Jacqueline now lives in the South West of England. She teaches with Exeter Young Strings, JUTP Music and is currently setting up Dalcroze training at the University of Exeter. She lives on Dartmoor where she also breeds sheep, keeps chickens and pursues another of her passions – horse riding. On a ten day BKA course, when there will be so much to take in, take time out in this gentle movement and relaxation session. Through mindful movement, simple stretches to ease tight muscles, breathing, and the chance to simply relax and re-focus, you will also be able to take away some more ideas for relaxation through movement, mindfulness, music and meditation for the future. Claire McCue is a composer, piano teacher and music educator based in Glasgow, also with a background and qualification in Dance teaching, the result of a much-loved hobby. After a “slight diversion” by way of a BSC(Hons) in Maths, Statistics and Management Science, she studied for a BA in Applied Music at Strathclyde University then, after a few years teaching (and discovering Kodaly! ), gained a Masters in Composition (Distinction) from the Royal Conservatoire of Scotland. The Kodaly journey has never stopped since, nor has the composition or love of dance and use of movement in her teaching. Claire delivers regular musicianship sessions across a range of ages for the RCS Junior Conservatoire and the Royal Scottish National Orchestra Junior Chorus and has co-led an early years training programme for nurseries and Youth Music Initiative tutors for YMI Falkirk Council over the last two years. She teaches piano for RCS early years and privately, and does some workshops for the National Youth Choir of Scotland (NYCoS). Her compositions and collaborations have won various prizes, been broadcast on BBC radio 3 and performed internationally, and recently she enjoyed combining composition/education worlds in writing some new pentatonic songs for NYCoS. She looks forward to meeting new and familiar faces at the next BKA Summer School.